← Choo choo ~~ it’s a train custom stamp..
Hi people, after quite a long absence, I am back~ from yet another sickly month, just took my blood test and waiting for the report to see if there’s something wrong with my immune system… back to exercising now and hope everything will be ok..
First up is Ms. Tenia Nelson, she was in hospital early December, and thank god she was discharged and everything’s fine now. 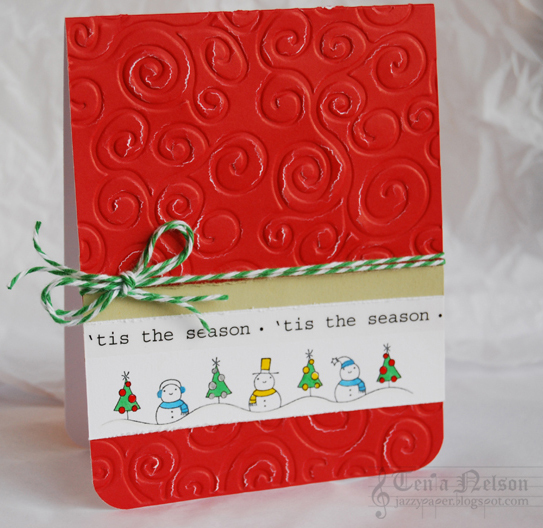 This entry was posted in Design Team, Rubber stamps and tagged christmas, rubber stamps, scrapbooking. Bookmark the permalink.